EHE is a leading Egyptian company in trading and servicing offering the complete range of hydraulic and pneumatic components together with lubrication and greasing products as well as thermal insulation equipments. Behind this name; “EHE” lies more than 20 years of experience in sales and engineering of hydraulic and pneumatic components. With EHE International collection of well-known brand names, we are in a position to offer optimum solutions for all our precious customers’ problems according to the slogan; ''EHE'' is your guaranteed solution”. 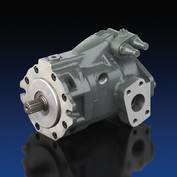 Importing, selling and maintaining all hydraulic pumps and motors for top hydraulic brands. You can also depend on EHE in other related fluid power components such as: valves, manifolds, filters, hoses, pipes, fitting, test equipments, power units, electric motors and engines. Manufacturing of Hydraulic Cylinders up to 250 mm. diameter. Address: 22 Saudi Building, Al-Sawah, 11281,Cairo, Egypt.